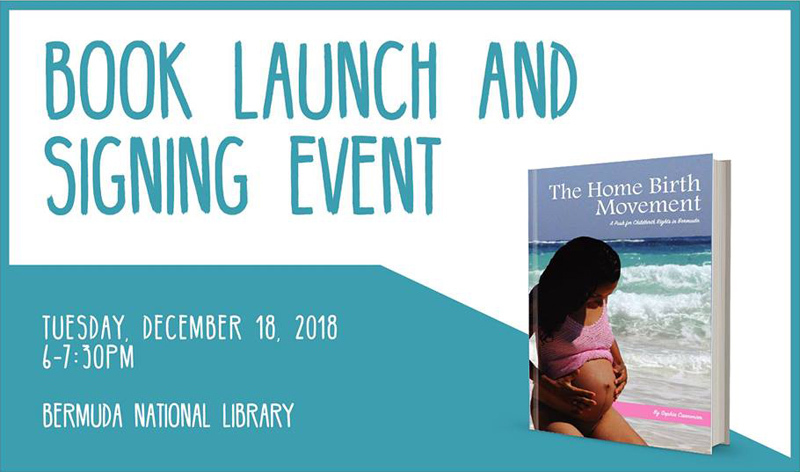 The Lotus Integrated Health and Wellness Studio is getting set to host a book launch and signing event for a book by Sophia Cannonier titled The Home Birth Movement on Tuesday, December 18 from 6.00pm to 7.30pm at Bermuda National Library. “In an effort to transform Bermudaʼs complicated relationship with birth, this book dives into the countryʼs history of midwifery, the rise of childbirth hospitalisation and medicalisation, and the ideological challenges facing childbirth and home birth rights currently. “Through the personal and emotional stories of Bermudian mothers and fathers, this book artfully weaves together the voices that initiated and perpetuated the home birth movement in Bermuda at the turn of the century – a movement that continues to grow.